I know it feels like summer just started but the truth is fall is right around the corner. And if you’re in full-on denial mode, maybe this will help you snap out of your sun coma. Nordstrom’s Anniversary Sale is here!!! This is THE biggest sale of the season. For a short period of time you get chance to score the best new fall items on sale before they go back to their regular price on August 4th. And as always, there’s free shipping and returns too. 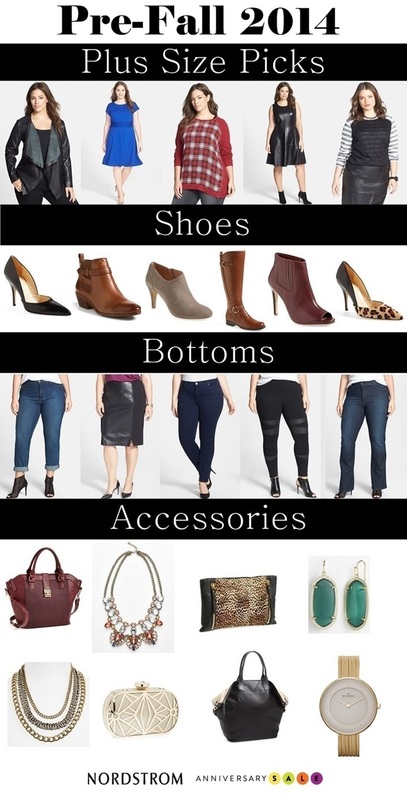 You can score some MAJOR deals including some great plus-size items. In fact, here are some of my favorite things from this year’s anniversary sale. Wow lovely thanks for the heads up I am going to go there for sure. ^_^ Thanks for the visit! These are all great picks! I really like all the bags you chose and those leopard print shoes! The Nordstrom's anniversary sale is always so much fun! LOVE the accessories picks Jenny! LOVE the knee high boots!